Starting out as a World War 2 themed FPS in 2003, the Call of Duty franchise has since expanded to cover gritty warfare from the perspective of many eras and styles, including zombie wastelands, urban combat, and the high tech landscape of the future. 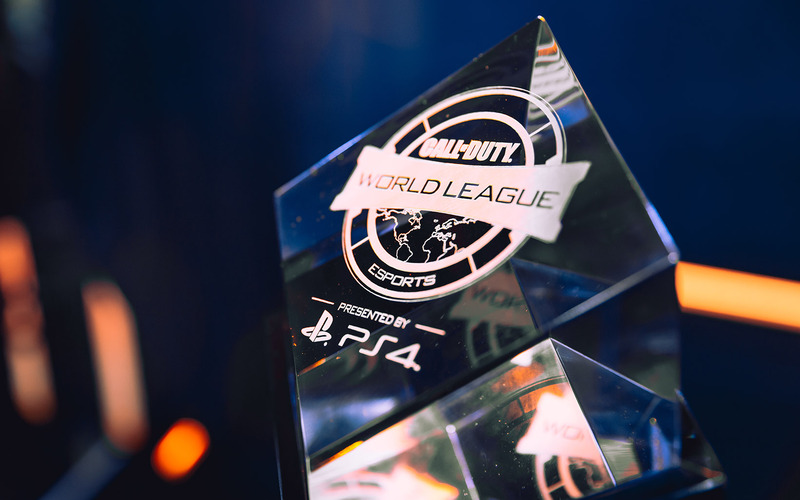 Since 2006, the Call of Duty series has been one of the most recognizable and popular gaming franchises in the eSports scene, particularly in Europe and North America. 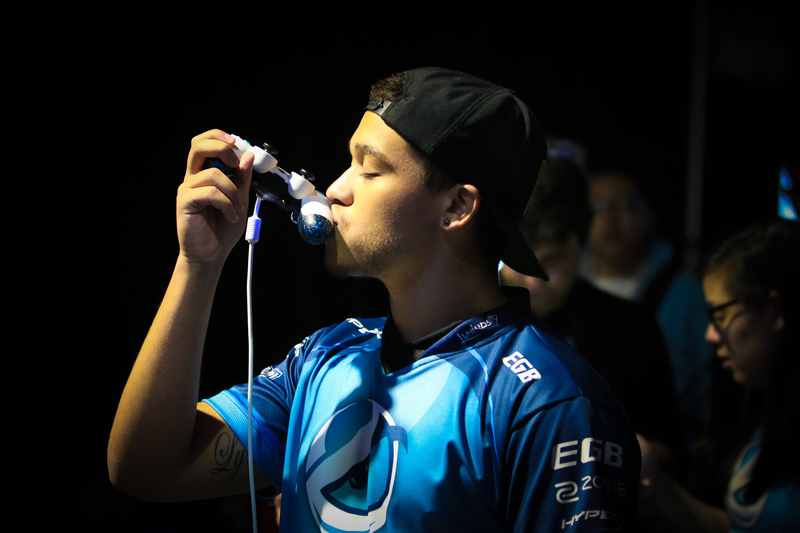 Its inception has made it the focus of countless tournaments and competitions with millions of dollars in prize money, leading to the rise of eSports superstars including: NaDeSHoT, Scump, Clayster and Crimsix. The introduction of vertical movement to the Advanced Warfare franchise brought Call of Duty to an entirely new level. The new Exo-Suit allows players to move faster, deploy shield, cloak and more in order to reach new heights, perform new maneuvers, and play Call of Duty like never before. With over 20 functions on a controller, accessing multiple commands simultaneously, is limited to the equipment you use. Traditional controllers only promote the use of 2 fingers and 2 thumbs which has became outdated since the SCUF was invented. Now no other piece of equipment is better suited to enhance your gameplay than a professional SCUF controller that allows you to access more functions using the back paddle control system and other latency reduction features such as hair triggers/ stops. Paddle configuration: The back paddles of your SCUF will be used more than ever with the new focus on mobility. Being able to hit those key jumps, drops, and Exo-abilities while never losing sight of your enemy is crucial to hitting the top of the leaderboards. At SCUF, we still like the “traditional” paddle configuration we used for all Call of Duty games; left paddle A and right paddle B for Xbox – left paddle X and right paddle O for Playstation. This configuration will give you maximum coverage of your movement both on and off the ground, and allow you to run circles around your opponents. 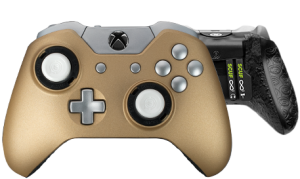 The paddles in this configuration help you take your Call of Duty game to the next level. Another configuration we like is left paddle A, right paddle X (X/Square for PS). With the new reload mechanic introduced in AW (you’re able to double tap reload to discard the clip for a faster reload), we’ve found that being able to reload quickly is the key between life and death in a firefight. Ammo is extremely plentiful in the game, so we often choose to sacrifice a few rounds in order to guarantee survival, or some crucial kills. These same techniques are going to make a massive difference in the upcoming CoD: Infinite Warfare, where you'll be able to fully utilize IW's new advanced slides and thrust jumps. The paddles are also perfect for the remaster of Modern Warfare, where you'll be able to replicate the early techniques of using a SCUF; where the infamous SCUF Jumps, SCUF Dropshots, and SCUF Knives were born! If you are unsure of what paddle configuration to select, choose the EMR (Electro Magnetic Remapping) option when building your SCUF controller and you will have the ability to remap your paddles to any face button! Triggers: Just as every bullet counts during a reload, every piece of ammo counts during a full-fledged firefight. The customizable options with SCUF’s Trigger Control System will help you feel in total control of every last bullet. A combination of the Adjustable Hair Triggers (allow you to mechanically tune your trigger to reduce the swing of the trigger) and the Adjustable trigger stops, which turn each squeeze of the trigger into a quick tap: making every shot efficient and clean. A quick turn of the SCUF key is all it takes to adjust your trigger system to the perfect level of tension for you and your play-style. Let's not forget the massive arsenal that is being included in Call of Duty: Infinite Warfare. Our aiming stops and adjustable trigger system is perfect for keeping your aiming and shooting steady while you master the dizzying number of unique weapons available in IW. Thumbsticks: Just like CoD players, no two hands are created equally. Between size, shape, and general reflex, all players have a different idea of what feels perfect for their play-style. The Interchangeable Thumbstick Control Area that SCUF developed, means a perfect fit for any size hand or play style you might have. With three different lengths (we recommend long for the right stick to aim) and two different thumbstick shapes (domed & concave), simple and efficient control over your character is just a few clicks away. Simply pick the right size, change it out in a few seconds and witness firsthand a level of control and ease that you’ve never experienced in CoD before. The new Combat Rigs, payloads, traits, and weapon-crafting coming to Infinite Warfare are going to keep your thumbsticks busier than ever, so with our thumbstick system, you'll always be able to change them on the fly to match your playstyle. Grip: There's something perfect about coupling a military-style shooter with military-grade grips. And with a SCUF, that's exactly what you're getting. SCUF Pro Grips offer a level of control and comfort that can help players focus on ease of use and extended play sessions. The Grip system will keep you in full control and help you avoid slippery hands as you navigate your way through IW's intensely fast-paced battleground. 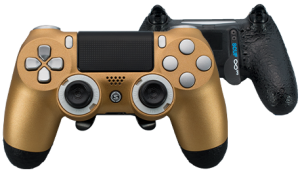 Control Disc: The SCUF Control Disc adds a level of precision to the directional pad. Changing inventory and toggling between firing modes is like a snap of the fingers, letting you push your focus where it belongs: down your iron sights.